Eliminate the release of toxic, corrosive, or flammable gases into the workplace. Maintain the integrity of an ultra high purity system. Protect equipment in corrosive gas service from exposure to moisture, thus preventing destructive corrosion. The Series 4800 deep purge valve system provides the ultimate in purging capability in a compact design with a very small internal volume. These units can be used in a wide variety of applications where contamination must be avoided during cylinder changeovers. 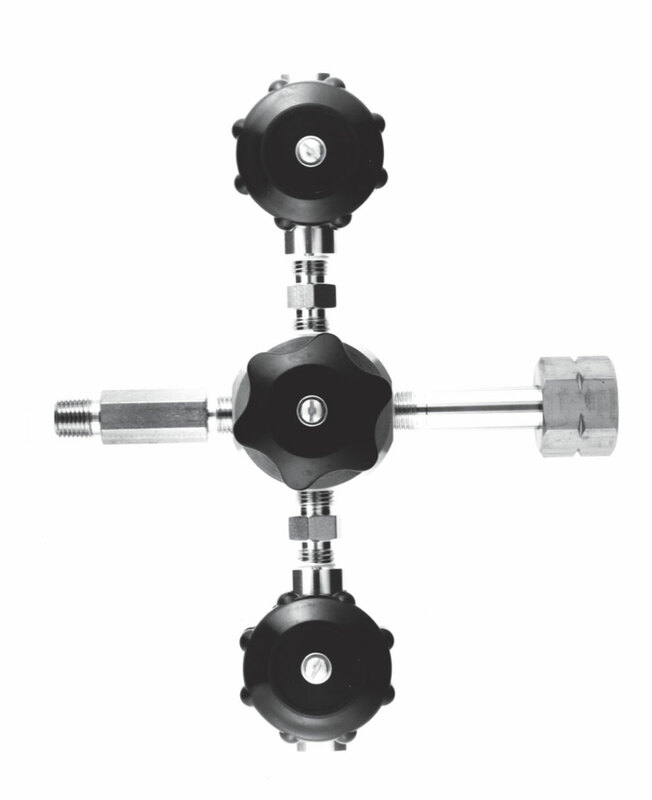 The deep purge valve system is an ideal accessory installed between the cylinder and the regulator of ultra high purity carrier lines for gas chromatography systems that cannot tolerate even a minimum amount of oxygen and moisture that can enter the system during cylinder changeovers. The deep purge valve system can be used with gas mixtures containing reactive components to ensure that no moisture enters the sampling system to cause deterioration of the reactive components that can lead to concentration inaccuracies. Use of the 4820 also provides protection from the release of toxic gases into the atmosphere during cylinder changeovers.